The 3rd St. Paul University System (SPUS) Research Forum was held at St. Paul University Quezon City on October 13-14, 2017 with the theme, “Global Education: SPUS Programs and Initiatives”. 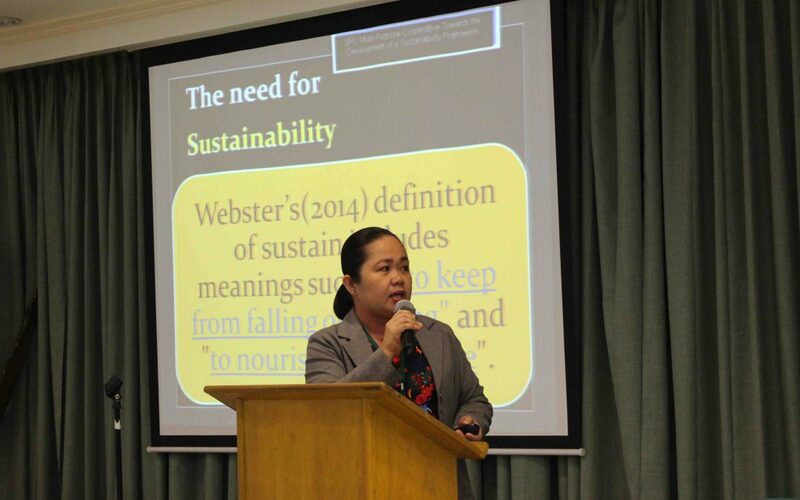 Thirty-one research papers from the 7-member institutions of SPUS were presented in the annual event organized by the SPUS Research Committee headed by Sr. Merceditas Ang, SPC, President of St Paul University Philippines. In her opening remarks, Sr. Ma. Nilda Masirag, SPC, SPUQC President and Provincial Assistant for Education reiterated the indispensable role of research in the improvement of instruction and learning, advancement of community development programs and projects, and prestige of the university as knowledge producer. She also thanked the Research Committee for promoting and supporting a lively research culture in the SPUS. Researches were classified according to the following sub-themes: students and international education, globalization and international education, universal bodies and local narratives, quality of life and Paulinian education, and student learning and Paulinian education. All papers were presented in five plenary sessions. Select papers will be published in the second issue of the SPUS Journal on Global Education. The SPUS Research Committee challenged the researchers to expand their scope and topic so that they can contribute to regional and global knowledge economy, especially in the ASEAN Community. Research collaboration among the SPUS member schools and foreign universities was also encouraged to make the presence of SPUS felt not only in the region but around the world. Sr. Marie Rosanne Mallilin, SPC, St Paul University Surigao President and SPUS Chancellor in her closing remarks, expressed gratitude to the SPUS Research Committee and to the researchers for their commitment to advance the research culture and capability of the Paulinian tertiary educators. The 4th SPUS Research Forum will be held at St Paul University Philippines, Tuguegarao City.